Window film eliminates 99% of the UV rays, reduces glare up to 90% and comes with a lifetime warranty. 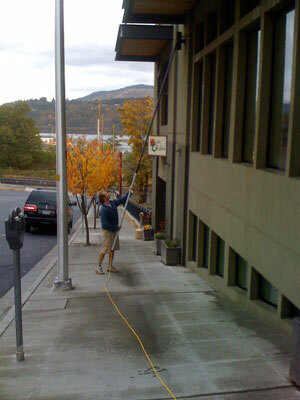 Our services and service areas include: Hood River window washing, Hood River window cleaning, The Dalles window washing, The Dalles window cleaning, window tinting, pressure washing, pressure wash, window wash, Hood River, Oregon, Portland, The Dalles, Dalles, Cascade Locks, Parkdale, Mt. Hood, Arlington, Biggs, Gresham, White Salmon, Washington State, Washington, Glenwood, Odell, Hood River Valley, Bingen, commercial window washing, commercial window cleaning, professional, Home and Office Window Films, Sunguard, Sungard, Sun-gard. We service the other Gorge, Portland, and Washingon State areas, please call us for more information.